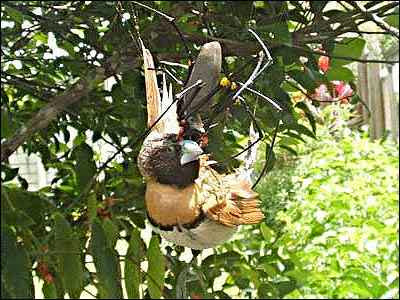 Strange Conspiracies: Could Huge Spider Arachnid Super Spiders Really Exist? Could Huge Spider Arachnid Super Spiders Really Exist? Do huge spiders and other huge arachnids exist? Is there some way that nature, through a fluke in either evolution, or the creation of man and science; that huge arachnid spider type insects exist somewhere on planet Earth? Maybe. Spiders are so different from each other. Tarantulas for example have fuzz or a fur on them, and when they feel threatened they start rubbing their legs together shooting their hair torwards their attacker. This causes whatever that is attacking them like a small bird or racoon feel very sick and have difficulty breathing. Some spiders can even spin a silk spider web. This just goes to show you that spiders have a lot of different qualities that are very strange. Another strange quality of the tarantula, is that every so often it will shed its exo skeleton because it has become too large for it. This has caused tarantulas specifically to become really big. There is a very real possibility that deep in some rain forrest out there.... in the deepest hole, there could be a monster tarantula that could be big enough to eat and digest a small child. Many other large spiders that we know exist could have evolved or changed through genetic manipulation into large monster spiders. Have you heard of the goat with spider dna? It was created in a lab, and if you dont know about it, you should Google it and check it out. What do you think do you believe there could be a large spider somewhere in the world? Have you heard any stories? Leave a comment! i seen lots of information about these new giant spiders. its from gmo in foods and govt experiments that broke out of the labs.